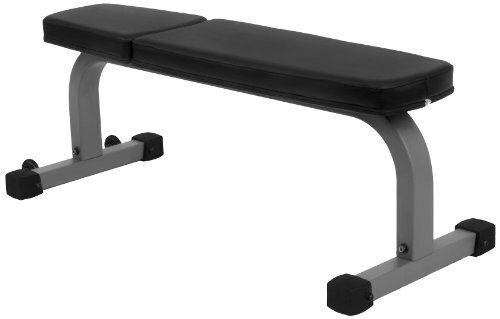 The XMark Flat Weight Bench XM-7602 is a favorite among fitness enthusiasts and beginners alike for its versatility and comfort while performing a multitude of exercises. As the highest quality flat weight bench for the XMark Fitness line, this flat bench is covered with tear and sweat resistant Duraguard Vinyl and designed with an extra-thick, 3" split cushion for improved comfort and overall visual appeal. With a 1500 lb. weight capacity, your workout has no boundaries. Train harder and longer with XMark, the mark of excellence. Notable features of the XMark Flat Weight Bench XM-7602 include transport wheels for quick storage as well as easy in and out under power cages, cable machines, etc., 11 gauge 3" x 2" steel construction and bolted on, skid-resistant feet.